On account of Bangladesh’s 47th Victory Day, Robi, one of the leading telecom providers of the country, wanted to create a video that would uphold the country’s rich history and its road to freedom. Concept and Scripting by The X. Production and post-production by Maverick Studios. 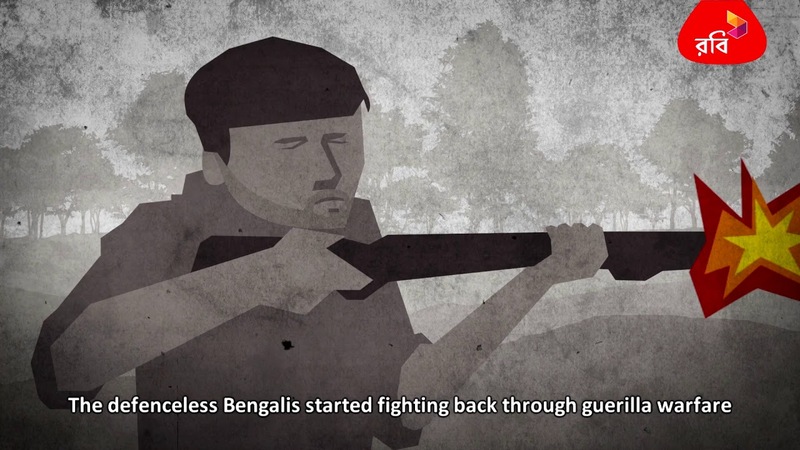 The key events surrounding Bangladesh’s 1971 war of independence have been illustrated through 2D animation paired with bold typography and a strong voiceover at the back. The dark and grey toned colour scheme is an ode to the terror and cruelty inflicted upon the country at that time.